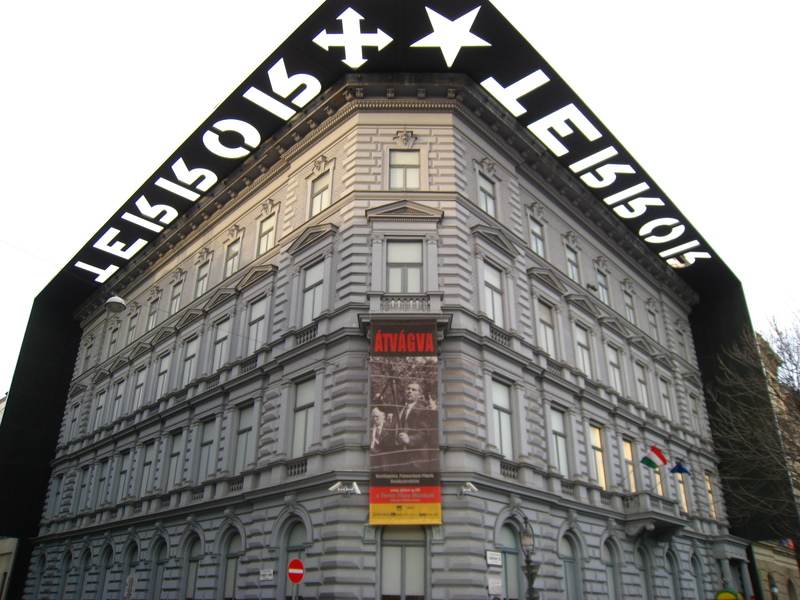 Being at Budapest, it’s impossible not to see the Terror House, not because it’s located on one of the most important boulevards of the city, Andrassy ut, but because its noisy banner which is not possible to miss while sightseeing this great city. After hearing the words Terror House, it’s easy to imagine a house where you pay to get scared with fake dolls, vampires and skeletons and have a good time forgetting about the reality. This place instead, could scare you using the reality, using just historic facts. This museum (thanks God!) is not as sad, terrifying and tough as Auschwitz and Birkenau. It’s a very interesting place to understand the path Hungary walked on the last century. As the Uprising Museum of Warsaw in Poland, this one gives you and idea of the context, and the situations (two of the worst dictatorships ever thought) lived in this part of the world during decades, and will help to understand and to think about the actual state of Hungary. The museum, as can be seen since the entrance, has a great decoration it even has a tank inside, the way they display the things is very interesting and it doesn’t let you get bored. It’s filled with screens and there is audio all around. Each room has its own environment and it can be walked in the way that everything shows up in a chronological order. All those things are good, buuut many of the images displayed are not precisely about Hungary, many are of Nazis or Communist parades on other places, the objects displayed usually don’t have an english description, and it’s necessary to take a plane-text paper at the entrance of each room to get an english description of the whole room. It made me think a lot on of the Uprising Museum at Warsaw, there everything is well explained and the objects are well connected with the room or the point they want to show, here, I felt a bit lack of it. Any way, I think it’s a very interesting museum to visit, the full entrance costs 1800 HUF (at 2011-01-03 it is like 6 euros), and it has the traditional discounts for under 26, or European citizens AND the first sunday of each month it is FREE if you are under 26 year’s old.